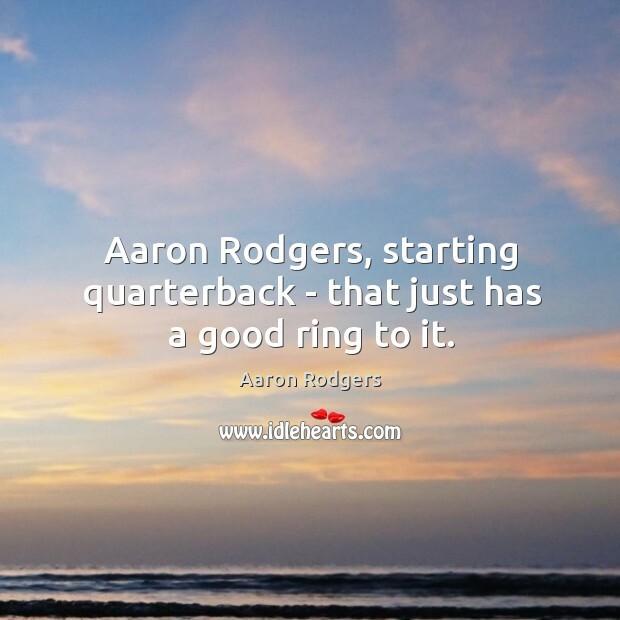 Quotations about Aaron Rodgers. Quotes to stimulate mind and drive action! Use the words and quote images to feed your brain inspiring things daily! 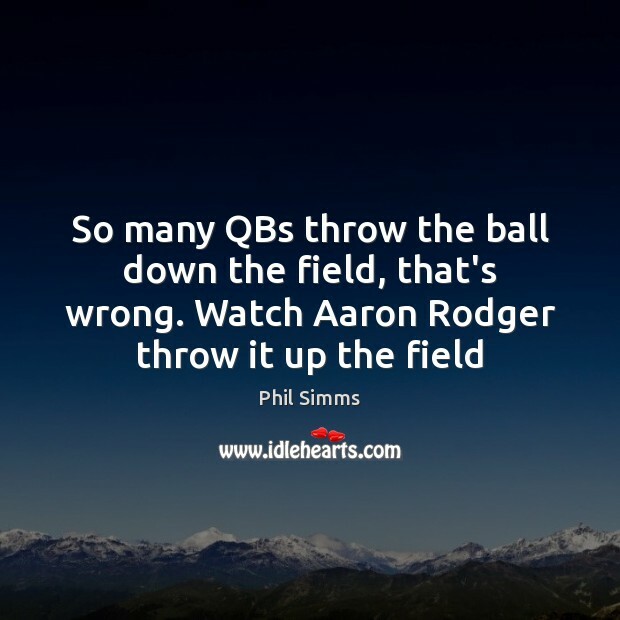 If [the Packers] can protect Aaron Rodgers and allow him to throw the ball down the field this game will not even be a contest. 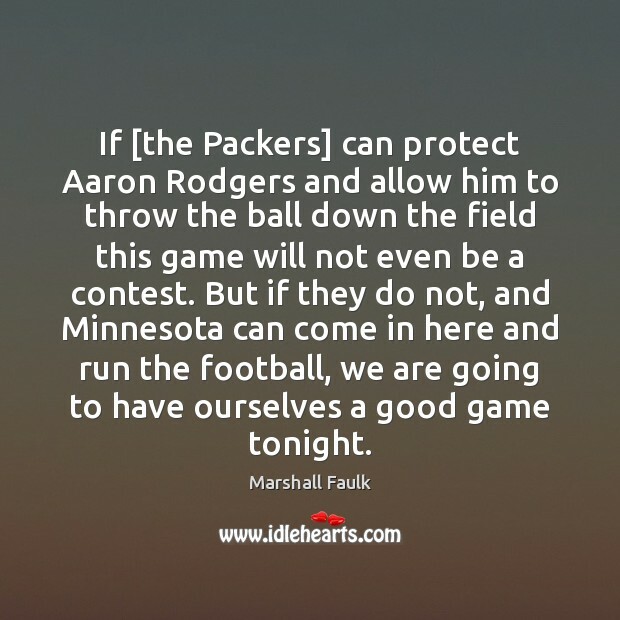 But if they do not, and Minnesota can come in here and run the football, we are going to have ourselves a good game tonight. 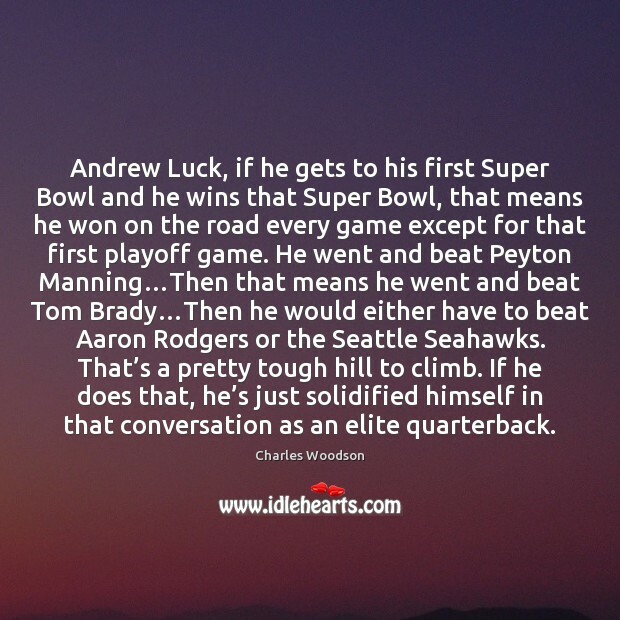 Andrew Luck, if he gets to his first Super Bowl and he wins that Super Bowl, that means he won on the road every game except for that first playoff game. He went and beat Peyton Manning…Then that means he went and beat Tom Brady…Then he would either have to beat Aaron Rodgers or the Seattle Seahawks. That’s a pretty tough hill to climb. If he does that, he’s just solidified himself in that conversation as an elite quarterback. 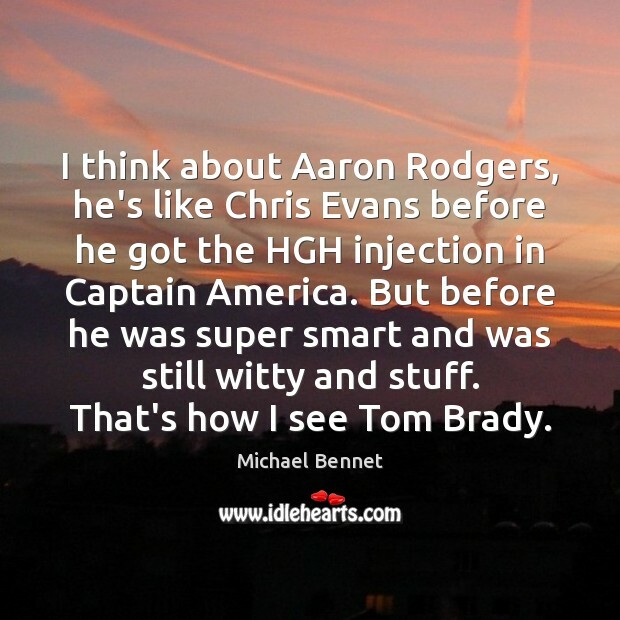 I think about Aaron Rodgers, he's like Chris Evans before he got the HGH injection in Captain America. But before he was super smart and was still witty and stuff. That's how I see Tom Brady. 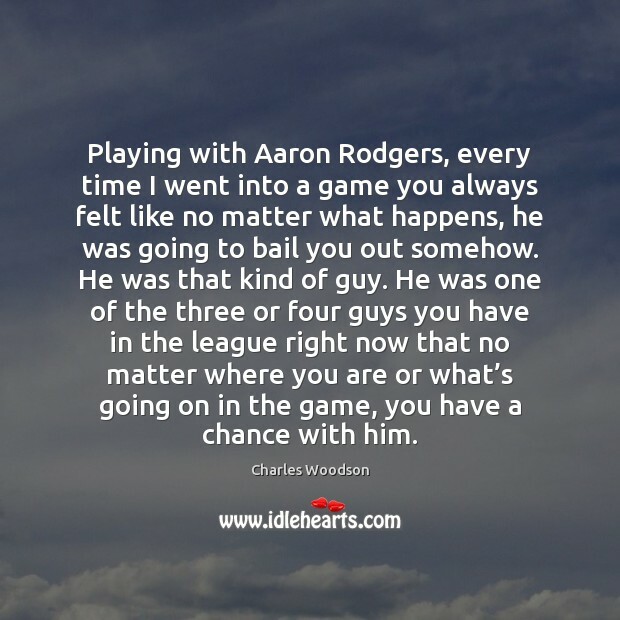 Playing with Aaron Rodgers, every time I went into a game you always felt like no matter what happens, he was going to bail you out somehow. He was that kind of guy. He was one of the three or four guys you have in the league right now that no matter where you are or what’s going on in the game, you have a chance with him. If Russell Wilson wins this game... 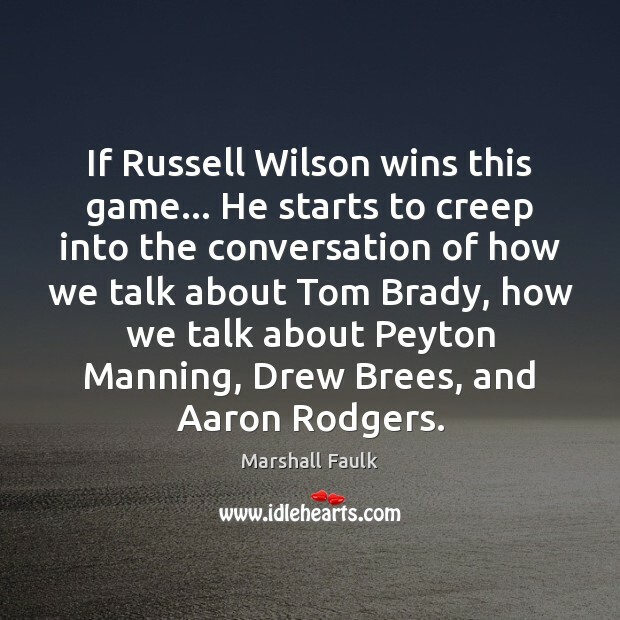 He starts to creep into the conversation of how we talk about Tom Brady, how we talk about Peyton Manning, Drew Brees, and Aaron Rodgers. 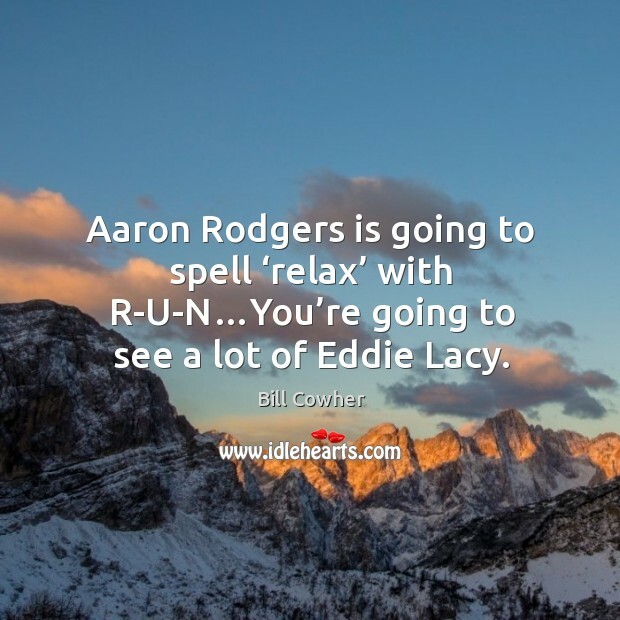 Aaron Rodgers is going to spell ‘relax’ with R-U-N…You’re going to see a lot of Eddie Lacy. 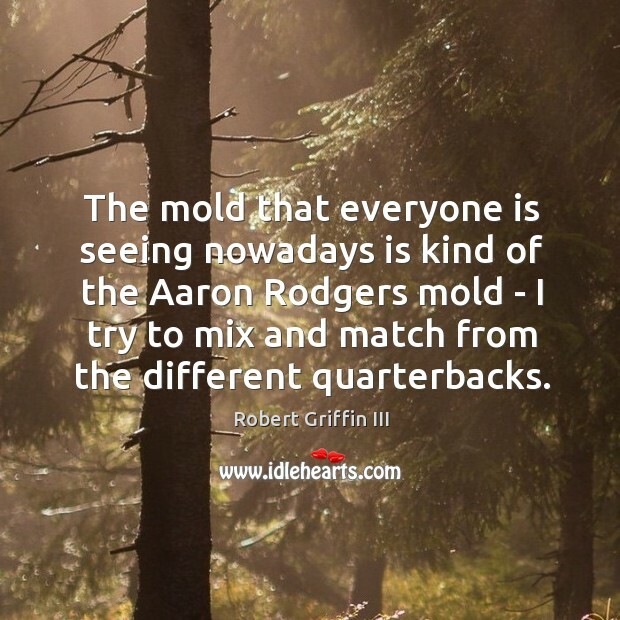 The mold that everyone is seeing nowadays is kind of the Aaron Rodgers mold - I try to mix and match from the different quarterbacks. 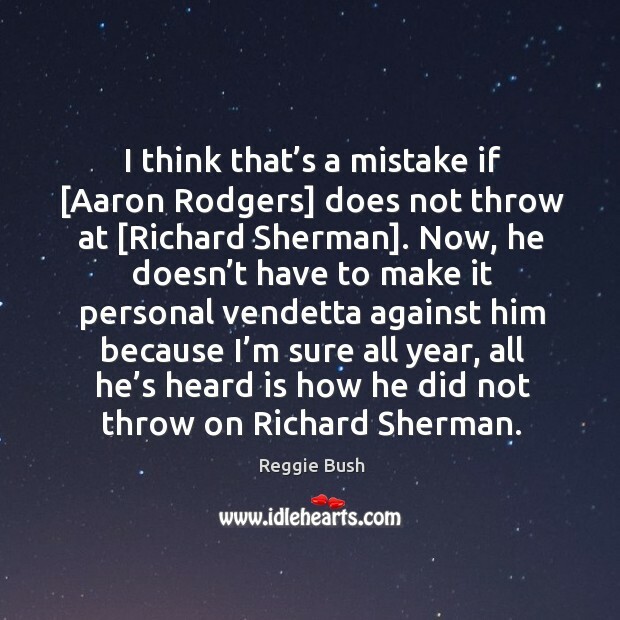 I think that’s a mistake if [Aaron Rodgers] does not throw at [Richard Sherman]. Now, he doesn’t have to make it personal vendetta against him because I’m sure all year, all he’s heard is how he did not throw on Richard Sherman.